One of Sedona’s oldest neighborhoods close to the touristic Uptown strip which has shops, restaurants, art galleries and lots of tourist attractions. If you like to be able to walk to where the action is, this is your neighborhood. The houses closest to the commercial area in this neighborhood are smaller and have a lot of character and some may have undergone several remodels, since they tend to be older homes. The neighborhood slopes slightly uphill and as you move away from the commercial area you will find newer and larger homes. The upper homes are close to famous Jordan hiking trail, which takes you to Devil’s Sinkhole. The trail up to Brin’s Mesa from Jordan Trail head is one of the greenest and lushest trail in Sedona and the view at the top in both directions is well worth the walk. So if you like to be close to hiking trails this is perhaps a better area for you, while still being walking distance from the commercial streets. 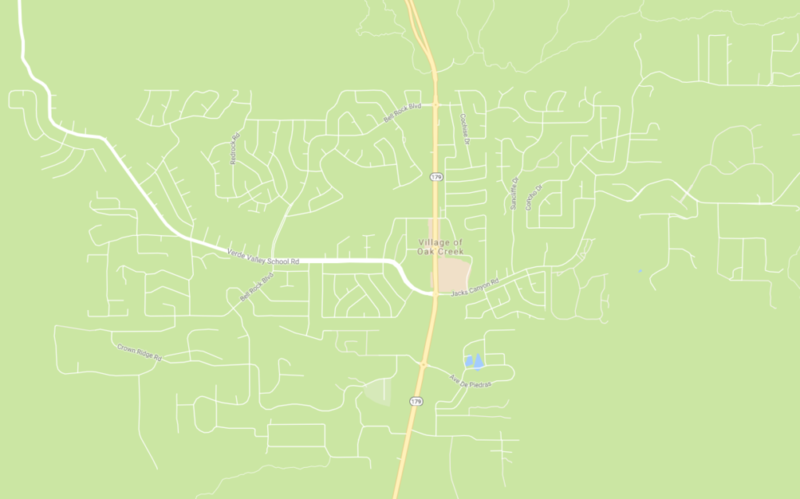 West Sedona is one of the largest neighborhoods in town and it expands North and South of Hwy 89A where most of the traditional commercials services are (supermarkets, pharmacies, businesses, movie theaters, restaurants, medical center and Urgent Care, etc.). The areas closest to the Hwy 89A have smaller/older homes with some areas with manufactured homes, and as you move away from the commercial area the homes become newer, larger and more expensive. 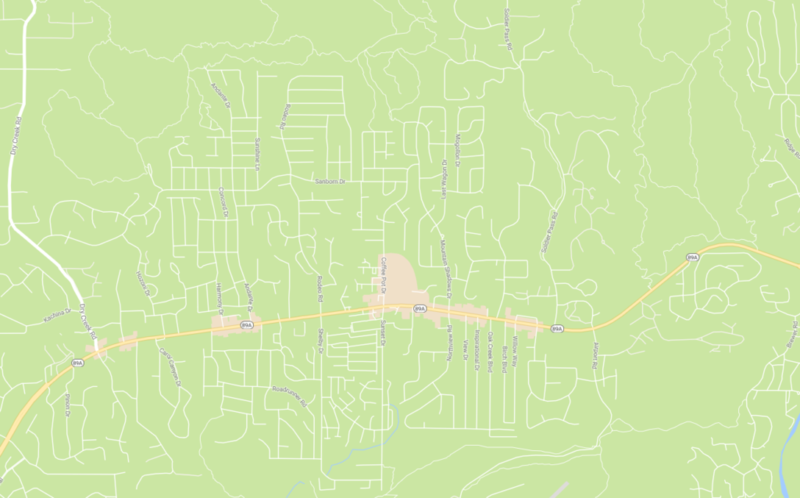 Several public schools are in this area including West Sedona School, the Sedona Charter School for elementary and middle school, and Sedona Red Rock High School. On the North side of Hwy 89A and towards the upper part of the neighborhood you will have many choices of hiking trails and you can even choose to live close to the Amitabha Stupa and Peace Park, a place for meditation and spiritual renewal. Situated on 14 pristine acres at the base of imposing Thunder Mountain, the land is deemed holy by native peoples. According to Lillian Too, world-renowned Feng Shui master, the land is perfect for its intended purpose—spiritual transformation and healing through the extraordinary sacred architecture and geometry of the stupa. 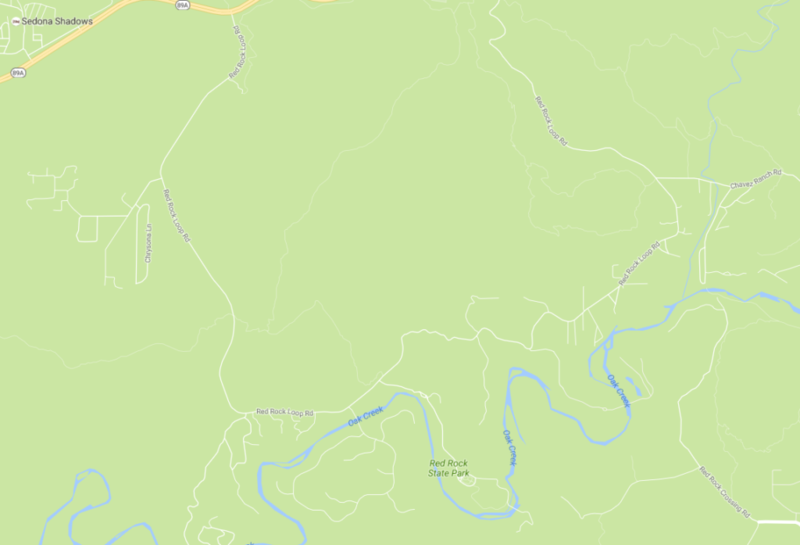 This is an interesting area, which follows a Red Rock Loop Road across some incredibly open and rural terrain. If you prefer to live away from the city in more open terrain, where you can have a home with acreage and possibly horses, then the Red Rock Loop is for you. While you are out of town, you are still just minutes away from commercial Hwy 89A. Some of the more expensive properties will be further away in private estates bordering famous Oak Creek with creek front views and access to the river. Some wonderful hiking trails are in this area, including famous Red Rock Crossings, where one of the landmark pictures of Cathedral Rock above Oak Creek is taken. Oak Creek Canyon is a river gorge located in northern Arizona between the cities of Flagstaff and Sedona. The canyon is often described as a smaller cousin of the Grand Canyon because of its scenic beauty. It is one of the few sacred Native American sites in the United States and its river creek winds down from a height of about 7,000 feet at its highest point to about 4,500 feet in Sedona. It’s a strip of land on both sides of Hwy 89A no longer than 12 miles with only a few homes and practically no commercial development, with the exception of a couple of convenience stores that also serve food. It is hard to find a home in this area because there are not many homes and few of them come up for sale. They are priced higher than other areas in Sedona due to its unique location and because some properties will be backing the creek. Oak Creek Canyon homes can also make excellent second homes because of their unique character and location. In this area, you will find famous Slide Rock and West Fork Trail as well as many other water holes in the creek and hiking trails. If you like skiing, you are also only about 40 minutes/40 miles from the Arizona Snowbowl, a 2,300 vertical drop skiing resort in Flagstaff. VILLAGE OF OAK CREEK...FOR THE GOLFERS! The “Village”,or “VOC”, as we locals call this area, is about 10 minutes South of West Sedona and Uptown. This is where you will find three of the four golf courses we have in Sedona: Oakcreek Country Club, Sedona Golf Resort and Canyon Mesa Country Club. If you like to have a home backing to the golf course this is your place. But VOC also has many other styles of living, with acreage and horse properties as well as traditional and simpler homes and condominiums. Big Park Community School for elementary and middle school and The Verde Valley School for high school are here. The Verde Valley School is one of the best private high schools in Arizona and has International Baccalaureate program and an extraordinary extracurricular menu for students including horseback riding, rock climbing, mountain biking, etc. Many of Sedona famous hiking trails are in the Village with perhaps Bell Rock and Red Rock Crossings/Baldwin trail being one of the most visited. Driving down Middle Verde Road to the end will bring you to Oakcreek where you can refresh yourself in the river and walk up the Templeton trail all the way to Cathedral Rock. There are several smaller other areas nested in between these neighborhoods and forest land in Sedona including Seven Canyons, Little Horse Park and Chapel Area. Seven Canyons is located on 200 stunningly beautiful acres in Sedona, for members and owners seeking premier homes and unparalleled golf. Club grounds feature a world-class golf course. Luxury living at Seven Canyons includes spacious Villas with fractional and whole ownership options. Little Horse Park and Chapel Area is located in between West Sedona and the Village of Oak Creek and is known for its beautiful red rock views and in the middle of many hiking trails with Little Horse Trail being the best know one. The famous Chapel of the Holy Cross is in this area as well as Sedona’s United Methodist Church and the Jewish Community of Sedona.